No matter where you are, you want to feel secure and know you have control over who is entering your property. At IDS Security, we give you back control with our door entry system with security camera. We provide cutting-edge access control systems that are operated by contactless smart cards, key fobs or biometrics all designed to keep trespassers out and you safe. To learn more about our access control systems, click here. Managing who can and can’t enter the building has never been easier than with our door entry system with an integrated security camera. Not only does this allow you to control whether someone is able to access your building, it also records anyone trying, to give you that added security. This is available for any property that needs protecting whether it is residential or commercial. Protect your house, apartment, office building and more. At IDS we both supply and install your system, so we are there with you every step of the way. This is something that one-man companies often can’t compete with. We not only know what system is best for you, we also know how to make the most of the equipment because we design it. We also offer 24/7 monitoring for our maintenance customers, ensuring that we are always able to assist you, no matter what the issue is or when it occurs. Whatever your security needs are, we do everything we can to match your requirements. Whether you want a key fob or a security code, we can tailor your door entry system with security camera to your specifications. For any queries or to have some advice about which security system would best suit you, feel free to get in touch with our expert team today. Contact us now. Key fob security systems are a popular choice when selecting a system to provide adaptable security to your property. A key fob security system reduces the need for a manned security system; it can be easily be adapted and expanded; and with it being a simple system, it reduces disruption and disturbances for your home, and business. This security system can be used in a range of environments and purposes, such as: homes and apartments; preventing the public from entering private spaces in commercial buildings; implementing a security structure at your workplace, by controlling or limiting the accessibility of certain areas. A biometric control system is more accurate and secure compared to other systems. This is down to the fact that the features analysed by this security system cannot be duplicated, reducing any chance of a security breech, and will provide a highly-specific access control. 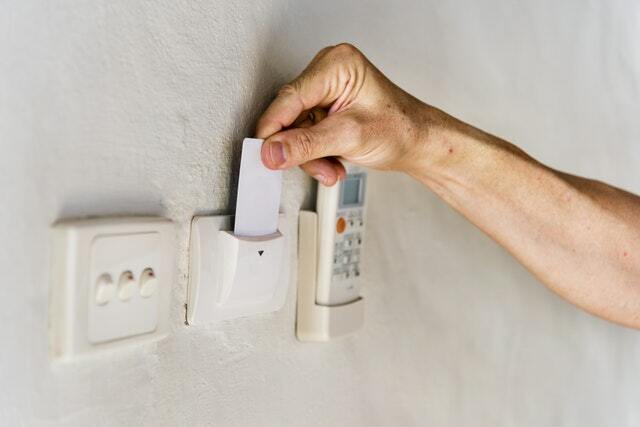 It's quicker and more convenient than other alarm systems as there is no need for passcodes or key systems. A biometric access control system provides a long-term solution to for your security operations, and will also cut costs throughout the duration of instalment, as there will be no need to replace any lost cards or key fobs. Separate to alarm systems, we also supply and install automated barrier systems to allow you to control who enters and leaves your car park. These barriers can be controlled by radio, or can be integrated into a full access control system, for unrivalled efficiency and ease of use. These car park barriers are manufactured by FAAC and CAME, two of the UK's leading suppliers of automated gates and barriers, so quality is guaranteed. If you're looking for something to control and manage access to your car park, a automated barrier system is your ideal choice. For more information about our access control systems, please click here. If you have any queries, please do not hesitate to contact us!